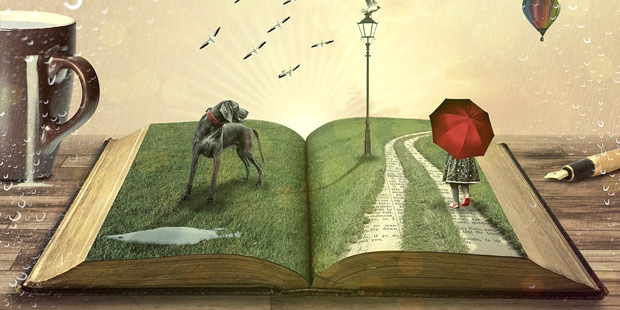 To the outside world, fiction writing gives an author unlimited freedom. From fantasy to contemporary and all genres in between, an author chooses—and often invents—the story’s setting, environment, culture, dialect, and technology, among other key elements. As authors know, putting this into practice is a different story. Each element is critical for keeping readers’ attention and fascination as they experience an author’s world. Research and realism can bridge these elements in a way that makes sense to an author’s story. But it isn’t always easy. Research begets more research, and cutting corners can lead to major missteps that may disrupt the reading experience. The most famous literary research misstep might be Shakespeare’s in Julius Caesar, with Cassius’s line “The clock hath stricken three.” The first mechanical clock would not come till centuries after Caesar’s time. The best practices for novel research aren’t surprising: Go to the library, double-check Wikipedia sources, research locations through an image search. Beyond that, Writer’s Digest gives a smart rundown of how to research a novel. Find an online community. If your main character’s a volcanologist, for example, find and interact with a community of volcanology experts. After a quick search, you’ll find a Reddit group, a Facebook page with related links, and a seemingly endless list of Twitter users who claim to be volcanologists. That said, not everyone on the Internet is an expert, so use your best judgment. Read other novelists who do it well. Whether you’re early in your career or have a strong backlist, take the time to research how other authors have built their worlds—fantasy, contemporary, and anywhere in between. Make use of apps. There are dozens of apps that will bring your planning and research into the digital age. Instapaper, for example, stores articles you’ve found but want to read on the go. WolframAlpha‘s reference apps offer expert-level data, while Instagrok appeals to visual learners with its interactive interface. Can’t keep track of all your research? Use Evernote to keep notes, articles, and pictures together on your phone. Used to handwriting? Download Penultimate on an iPad and write notes by hand. Do you swear by any other apps? Email portaladmin@penguinrandomhouse.com and your tip might be featured in a future article! In the end, the rewards to a well-researched piece of fiction far outweigh the tedium. When it comes to nonfiction or graduate research, there are plenty of scholarly guides and resources, and every one applies to fiction writing as well. But research takes many forms, and approaching fiction research from a different direction can be an interesting new way to make an impact on your readers. Phil Stamper-Halpin is Manager, Publishing Development and Author Platforms for Penguin Random House. Kathleen Go is a Senior Production Editor for Putnam.